Republicans are trying to sneak the Obama birth controversy back into the news. Tush Limpole, right wing extremist radio host, today interviewed Flippiano Scamarelli, former CEO of Peter the Rock Christian Capital Management Fund. Scamarelli, one time editor of the Washington Blowhole, is the reporter who blew open the secret of President Barack Obama’s birth certificate. He won the Schmuckup Award in Journalism for his reporting on Tush Limpole’s journey to Africa to retrieve the document. The Washington Blowhole, whose tagline is DC’s most honored newspaper, is also winner of numerous Putzie Prizes for its reporting on political issues from the nation’s Capital. Flippiano has revived the controversy over the country of President Barack Obama’s birth. The two discussed Limpole’s trip to Africa. He returned to the United States about a year ago with the actual Obama birth certificate in hand. After an extended period of captivity, the right wing radio host and the chief of the tribe into which Obama was born, finally arrived at an agreement to exchange the document. 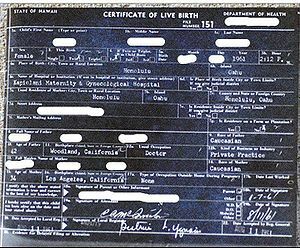 According to tribal lore, so the chief claims, Barack Obama was born in Nigeria in a thatched hut to a white woman who delivered with the assistance of a midwife. A couple of medicine men in attendance spread fairy dust about the hut and claimed to be witnesses to the event. 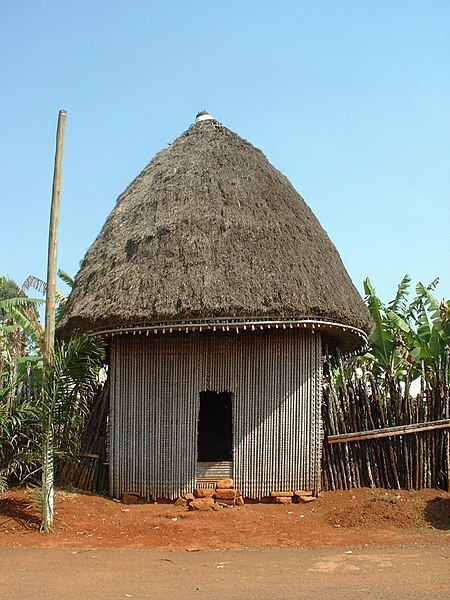 A thatched hut similar to the one Republicans claim Barack Obama was born in. The chief presented Limpole with the actual notarized birth certificate signed by the tribal notary after Limpole agreed to pay $1,000,000 for the original document. Scamarelli traveled to Africa with the cash and was present when the exchange took place. Limpole was then released from captivity with the birth certificate in hand. Limpole also returned with recorded depositions from the midwife and the medicine men attesting to their presence in the hut during Obama’s birth. Unfortunately Tush recorded the sworn statements in the tribal language known as Mangadufus which no one knows and hence the digitized recordings cannot be translated into any known language in the civilized world. Limpole however did manage to convince the chief of the tribe, who speaks fluent English, to attest to the veracity of the depositions. For his trouble, however, the chief insisted that he be given a gift card for a pair of Ferragamo loafers and one for dinner for himself and his thirty two wives at Olive Garden. After the settlement, the chief invited Limpole and Scamarelli to use his private Gulfstream jet for the trip back to the United States. Scamarelli has achieved notoriety recently for statements that Social Security is a Ponzi Scheme. He insists that if the plan’s funds were invested by Wall Street investment firms in derivatives and other securities, beneficiaries would soon become wealthy. The former CEO of the Christian capital management fund received a severance package from Peter the Rock totaling 1.3 billion dollars. Shortly after Scamarelli cashed the check the fund declared bankruptcy. Scamarelli is currently under indictment for misuse of the fund’s funds. He told Limpole that he really doesn’t give a flip about the charges because he has contributed enough protection money to the mobsters in Congress that he expects to get off scot-free.